Perhaps the most infamous type of loan for this was payday loans, where a high-interest loan--with interest rates running into the thousands of percent--would be available as a stop-gap for a month at a time. As the name suggests, the loan was designed to be paid back on the applicants next payday. But with the interest rates involved, hammering people with fees and charges, and excessive 'roll over' loans that would keep extending the loan, it was clear that people couldn't meet their repayments and ended up in a world of debt. Understandably, payday loan lenders came in for a fair amount of criticism from the Financial Conduct Authority (FCA). The crackdown on these loans involved more restrictions for the lenders, and that meant tougher regulations if they wanted to extend the debt, as well as tougher guidelines on advertising. A 'price cap' was also introduced in 2015 that ensured a limit to the number of fees and interest a consumer would pay, particularly if they were unable to make repayments. Though many welcomed the changes, several experts felt it was too little, too late. But just as one loan lender was made to clean up its act, the focus shifted. And this time it was the turn of logbook loans to come under scrutiny. Seen by many finance experts as just another high-risk loan that played fast and loose with people's vulnerability, the reputation of logbook loans was quickly tarnished in the same way as payday loans. Much of the criticism was aimed at similar problems: irresponsible lending, high interest, excessive fees and charges, and the resulting high debt. People still viewed logbook loans as a much easier way to get a lump sum quickly, but with less risk. If the borrower owned the car, it could be used as security against the loan. But in stark contrast to payday loans, there was another issue. Cars could be sold by borrowers while still owing the logbook loan lender. At the peak of the problem, it was found that one in five new owners had their car repossessed, even though the debt was never theirs, leaving them having to pay off someone else's debt, as well as without a car. When borrowers signed a logbook loan lenders 'Bill of Sale', it had the potential to cause big problems because the lender could repossess the car without a court order. It also meant that private buyers would, unknowingly, never legally own the car they'd just bought in good faith. With the number of logbook loans rising from just 3,000 in 2001 to more than 30,000 in 2016, many logbook loan lenders were forced to clean up their act through yet more pressure from the FCA. Much like the overhaul of payday loans, measures were introduced to protect borrowers, including price caps on fees and interest. But it was only in 2017 that new laws were introduced, giving more rights and protection to borrowers, lenders, and unknowing buyers. Changes included ensuring that borrowers are given fair warnings at the start of the agreement, and lenders having to obtain a court order before repossessing any car when the loan is over a third paid and a borrower challenges the decision. And also, most notably, purchasers who unknowingly buy a car with outstanding logbook loan debt will not be liable. Being almost in the shadow of payday loans, logbook loans received much criticism - some fair, some not so. But though it might have taken more years to get to this point than many money experts would have liked, fast logbook loans are now just as 'clean' as any other form of regulated borrowing. Among the leading logbook loan lenders in the UK are Car Cash Point. Not only are we one of the best value providers of logbook loans in the UK, we're also fully authorised and regulated by the Financial Conduct Authority for the conduct of consumer credit. And we're a member of the Consumer Credit Trade Association, and therefore fully compliant with its 'Code of Practice'. Our interest rates are among the lowest in the market, capped at 230%. This is almost half the rate of other lenders and because of our lower rates, we'll never be beaten on price. We don't require any credit checks, and we have no hidden fees or charges - any extra costs are made clear to you upfront, so there are no nasty surprises. We also allow early settlements when you can, or want to, pay off your loan. And you can make overpayments at any time, helping you reduce your balance and your interest. We're also the only UK logbook loan lender that offers you a choice of either weekly, fortnightly, four-weekly or monthly repayments, helping you manage your budget according to your finances. 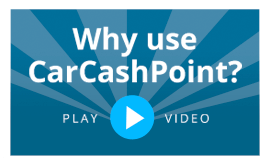 So when you need a flexible, great value logbook loan from an ethical and responsible lender, visit www.carcashpoint.co.uk to apply online, or call 0333 331 4782 and speak to one of our expert advisors today.